Meet the touchscreen Vitamix 780. Vitamix is the industry leader when it comes to blending. 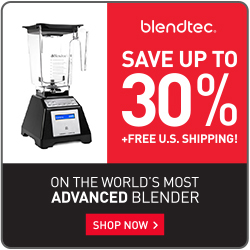 Acclaimed by renowned chefs, these durable blenders come in a variety of blender models. Get high performance with a sleek design. The Blendtec machines come with automated programs that allow you to push a button and walk away.